Caleb and Marisa are an adventure loving duo with a passion for motorcycling. Having met in college, they quickly began exploring the world around them, and usually choose to do so on 2 wheels. Caleb and Marisa were married in 2015, and have no plans to slow down. A thirst for travel keeps MotoDuo in constant trip-planning mode, always looking for their next big adventure. Totaling nearly 30 years of riding experience between them, they enjoy sharing their knowledge and lifestyle with others. Caleb and Marisa have been certified MSF instructors for 6 years, and stepped into off-road training in 2016. Summer of 2018 is the debut of "The Riding Academy" by MotoDuo Adventures which will include off-road and adventure riding courses and tours for all ages and skill levels! 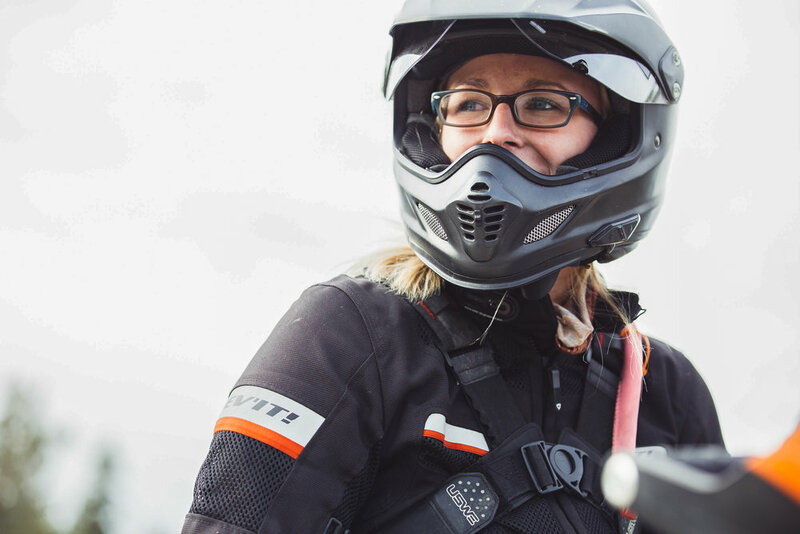 MotoDuo also offers a variety of other services including event and program consultation, photography and media services, safety riding for groups, and more. "If happiness is the goal - and it should be, then adventures should be a priority." Marisa's motorcycle journey began as a child, riding dirt bikes in the backyard with her family. Eventually transitioning to street riding, she found a love for dual sport's and the adventures they bring. marisa currently rides a KTM 950 ADV, and loves challenging herself with her riding. She does a bit of racing in her local hare scramble and Rally Moto races, but most of all she loves to travel and explore on 2 wheels. 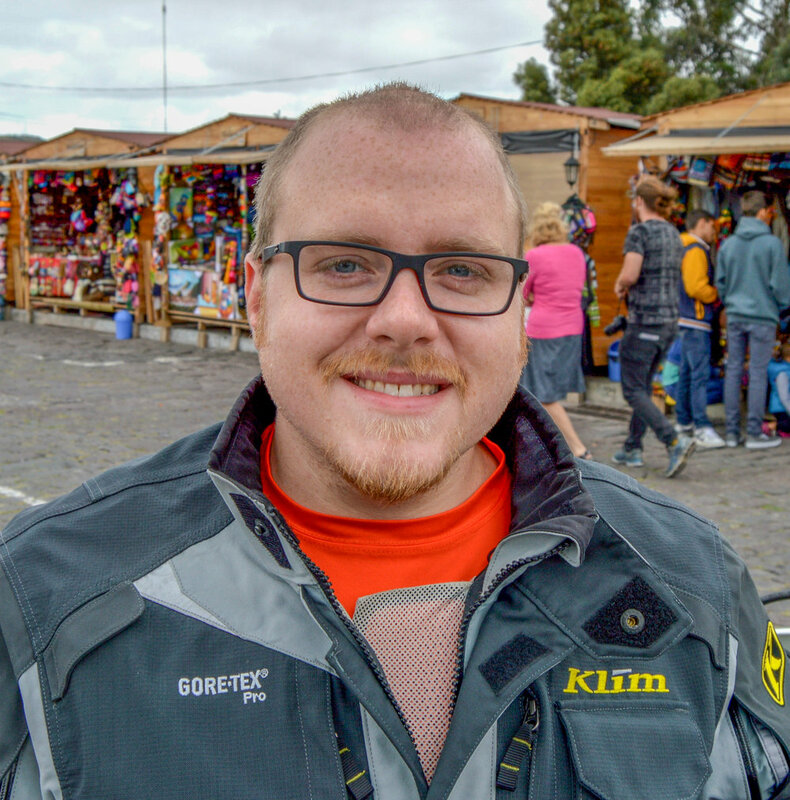 or, "Doktor Orange", Caleb is the technical mind of MotoDuo Adventures. Caleb has been interested in virtually any type of machine since he was young but has always been particularly smitten with things that roll or fly. He has worked as a mechanic in one way or another for most of his life but eventually found his way into engineering during college and hasn't looked back. He's been riding for more than a decade, both on and off road, and currently rides a KTM 990 Adventure. Thank you to our partners who help to make all this happen! Please contact us if you are interested in becoming a partner!